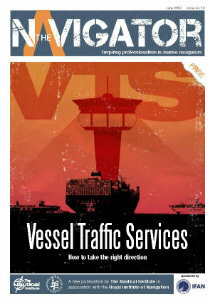 As time passes by and the enforcement date for the MLC 2006 is getting nearer a very interesting article written by Apostolos Belokas Managing Editor of SAFETY4SEA explains the best approach on implementing the new regulation. Shipping industry is facing a regulatory storm, including among other things the implementation of ILO MLC 2006 by August 20th of 2013 globally. There are many peculiarities related with ILO MLC, the most spicy one is with the deadline due. In case your flag state has ratified MLC by August 20th 2012 the deadline is by August the 20th 2013. In case your flag ratifies MLC after that date, say for example on 1st of February of 2013 then the deadline is by the 1st of February 2014, i.e. 12 months later. If your flag does NOT ratify the MLC you are not responsible for implementation. Is this correct ? Well, not exactly … Actually in line with the “NO more favorable treatment” principle of the MLC vessel will be subject to inspection by PSC worldwide and especially to countries that they have ratified MLC already (e.g. Netherlands, Australia etc.). To implement MLC you will need the DMLC part I that will be issued by the Flag state accompanied by DMLC part II that will be developed by the “Shipowner” i.e. most probably the DOC holder for the vessel, accompanied by a set of procedures, forms, posters and checklists needed for implementation binded into a manual. MLC Requirements are to some extend covered by ISM Requirements. This is correct in general terms, however we should NOT forget that we are talking for a FLAG SPECIFIC requirement actually, that need to be implemented onboard. Normally an MLC documentation set (procedures, forms, posters and checklists) will be in the range of 150 – 300 pages depending on the flag, company size, detail required etc. By integrating to SMS this will add a MINIMUM of 150-200 pages to the existing documentation minimizing flexibility of the system. It will be bigger, it will look bigger and it will make it harder for the seafarer to find his rights in such a “monster” documentation. Remember that normally a Bulk Carrier SMS is approx. 500 – 1,000 pages and an Oil tanker SMS is approximately twice that size (2-3 or 4 full paged dossiers in vessel terms). ILO MLC is a FLAG specific Requirement. This is something we need to elaborate. What happens if I have 2-3 flags fleet with one of them NOT ratifying the convention? What happens if a Flag has certain additional requirements making harder to comply with ? How am I going to face a revision of Flag requirements into my documentation ? What happens if a vessel changes a flag from a top tier flag that has ratified MLC (e.g. Marshal Islands, Liberia) to a bottom tier Flag (e.g. a Black listed flag of Paris MOU or USCG) that has NO requirements at all ? Certification Process of ILO MLC 2006. Here we have a standard industry approach. ALL ROs/Flags request a review of the DMLC part I vs DMLC part II and the accompanying documentation that is referred to DMLC part II. Meaning that you have to submit your existing documentation (Stand Alone Manual vs a Full SMS) for review and accompany all the necessary comments/revisions to the documentation. What we have as a feedback so far is that Flags/ROs are not happy to see references to specific Flag requirements NOT inserted to the documentation or see references for another Flag against which they do the review (remember that review is generally a ship specific process, i.e. it has to be carried out for each vessel, either ashore or onboard during inspection). Review of the documentation will initiate a review of DMLC part II that will take effort, time and money of course ! Shipboard Practice. All crews onboard vessels have been accustomed to the fact that each regulation has it own manual : ISM, Ballast, Garbage, SOPEP, VGP, Biofouling etc. They will find it easier to cope with MLC on a separate Stand Alone manual that will be distributed in 3-4 places onboard (including mess rooms for example) properly demonstrating due diligence for a first class ship operator. On the other hand in case of an ISM integrated approach especially where there is ONLY one ISM set onboard (needless to say kept by the Master!) crew will find it hard to cope with! Performance on PSC and 3rd Party Inspections. A stand alone manual (accompanied with a detailed compliance Checklist) will make it easy for crews to perform better. It will make it easier for 3rd parties to find what they are looking for and it will minimize room for substandard performance when a seafarer may be unable to locate a specific section related to MLC (e.g. complaint procedures). There have been many cases for example where a Master was unable to find the “Ultimate Authority” Statement in the SMS with unfortunate consequences. As we can see from the above it may look easier for a DPA or a QHSE Executive to accommodate MLC requirements into existing SMS but in real life onboard vessels this will vanish any benefit for the crew or the performance of the crew and the vessel during any third party inspection. On the other hand making a stand alone MLC manual will make it easier to adopt and follow the life and practices onboard vessel. It will be easier during initial certification, revision, operation and maintenance of the MLC certification for all stakeholders : Crews, Operators, 3rd party inspectors and regulators.